I have just found this wicked site called Scrappin Patch the techniques are cool and easy to follow so make sure you check it out. I was searching for fabric flowers but there are lots of other ideas on there. Prima lookie alikies made with tissue paper and glimmer mist. Check out the manufacturers list on the side of this blog it's HUGE!!!!! It's called Pubcalls and lists a whole load of challenges. Found this cool blog with my favourite GOD JUL norwegian texts in, as I was searching for free tags and journal spots to use in my DDA. Click HERE to see Mirabylls work. Helena found a template for a photocube which is made from a single sheet of 12x12. I am delighted as I was meaning to google it days ago. Thanks to Strawberry Pia and Splitcoast stampers who have saved me the work. You can find the template here. I finally found a load of free templates all on one blog. 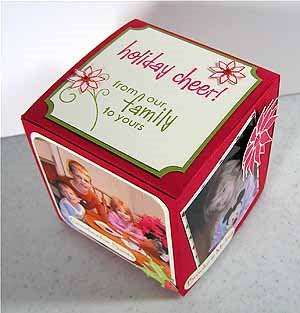 Here at Mirkwood Design Templates....I have been lusting after the Milk carton for a few months now!! It's just finding the time to make one...but at least I have this site to refer back to for inspiration. I have decided to keep a secret blog to list all of my finds in. This blog is not intended as competition against other established blogs...it's just that I am rubbish at organising and maintaining my favourites and they often get wiped or archived and I have to start again. Since joining Inspirational Craft Blogs DT and finding so many beautiful blogs I have been kept awake at night worrying about losing these addresses, so I thought why not just keep them all on a seperate blog that can't go missing!! So if you have stumbled across this then well done. Feel free to browse through my list and leave a comment if you so wish.